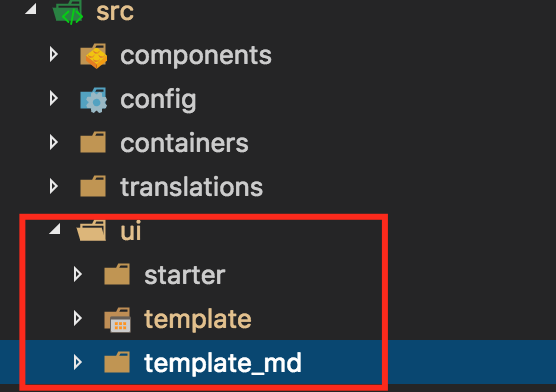 In the project, you will find the folder `src\ui\template' that contains the template UI look for the listed components above. So rename that folder to template_md ( or anything else ). We will not need it anymore. There is folder src\ui\starter\. Copy and rename that folder to template. This will be our new working folder for our template specific code.